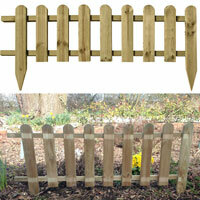 Fixed wooden picket fence panel with 2 stake ends for easy installation. 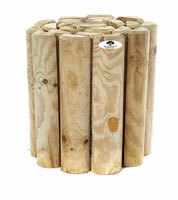 Made from FSC timber, pressure treated timber. 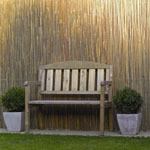 This picket fence is ideal for garden borders. 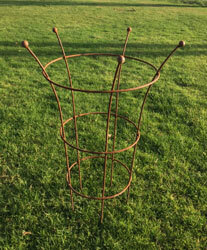 Size: Picket panel height: 42cm - Total height at end stakes 60cm. Length: 114cm. 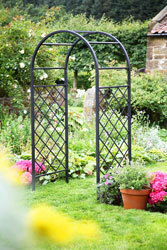 PACKED IN SETS OF FOUR each panel measuring 55cm, a total lenght of 2.2m (7' 2"). 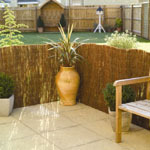 This white plastic picket fence give a decorative border edging for flower beds and lawns. Includes joining and mounting pins. 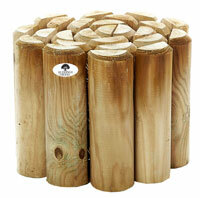 Create a finishing touch to garden flower borders with our wooden border log rolls. 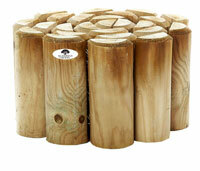 Please click on the image to view our large range of different heights.